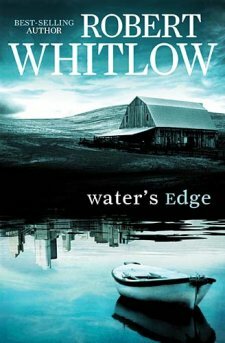 Water’s Edge by Robert Whitlow is about a young lawyer named Tom Crane who is on his way to becoming a partner at an Atlanta law firm. The untimely and suspicious death of his father leaves him needing to tie up loose ends in the small town of Bethel, GA where he grew up. Before leaving Atlanta, Tom’s world does a 360 when he is fired from his job and dumped by his girlfriend. He returns to Bethel in hopes of quickly settling his father’s affairs, but in the processhe finds a significant amount of money that is unclaimed. Tom finds out that there are webs and webs of lies that come with this money, and he wonders if his father could have been part of an international money laundering scheme. He meets a young woman along the way who is smart and beautiful and tests his faith. This book reminds me of a John Grisham novel with lots of Christian influence. The beginning of the book was a little slow, but once Tom made it to Bethel and started uncovering more and more suspicious things about his father’s death and law practice, the plot really began to take off. This book leaves you guessing the outcome of not only Tom’s faith in God, but also who he can and cannot trust. This book is inspiring because Tom wasn’t exactly close to his father, but he will stop at nothing to make sure the right person is brought to justice, and he finds out that the apple doesn’t fall too far from the tree. It has a lot of mystery and packs a lot of talk about God and faith with a little splash of romance. If you love mysteries and romance, then you’re sure to enjoy Water’s Edge.